Working in the online ad business and dealing with various clients and web publisher partners for some time now, I think I explain these jargon to someone somewhere, at least three times every week. Every week I meet people from various online publications in Sri Lanka, canvassing for advertising packages on their websites. On the other end, I sit with various clients who then evaluate the value bundle in these packages, and making the decisions whether to buy it or not. I noticed a problem, which happens repeatedly in most of these discussions. Increasingly, people use “hit rate” as a matrix to justify why someone should place an advertisement on their website. “Our website attracts more than 1 million hits a week”, “We recorded 40 million hits last months”, “Hit rate to our website is increasing significantly”. These are some of the words, I regularly hear from the people I meet. Most advertisers (clients) don’t fully understand this jargon, so they blindly believe that, a website with a higher ‘hit rate’ is a good place to place their advertisements. Publishers (website owner) on the other hand, are also not fully aware of the difference between “hits” and “visits” or they are trying to exploit the ignorance of the client to exaggerate the popularity of their websites. The problem as I can see is the lack of proper training among the people who work in the local ad industry. A web publisher company must at least give some basic training about “how the web works?” to their marketing executives, before they send them out to grab business. Without cursing the darkness, let’s try to find at least one switch to on a CFL bulb! If you are a marketing person at any of the Sri Lankan web publications, I hope this will help you to broaden your knowledge. More importantly, if you are a brand manager or a marketing communications manager at a Sri Lankan company, I sincerely hope this blog post will help you, to evaluate those advertising proposals much better! If you are someone from an ad agency, who is clueless about what the hell is the other two guys on either side of you, are talking; I hope this will help you to strengthen your ‘word armory’ before the next meeting! When you type the unique resource location (URL) www.amisampath.com on your web browser (FireFox, Internet Explorer, Chrome etc), your browser starts communicating with a “web server” (think of a large computer located in some foreign country). In this dialogue, the web browser will ask the web server, to “serve” the “unique resources” which is required to display this website on your computer screen. These unique resources include, images, java scripts, HTML files and various other software ‘objects’ which will help your browser to construct this website on your computer, the way it is now displayed. Now that you’ve learned how the web works, let’s move on to each jargon I mentioned in the title of this blog post. 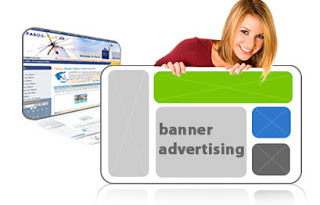 Let’s start with the most commonly used jargon in online advertising world (in Sri Lanka). The “hit rate”. Remember I told you, when a ‘web browser’ talks to a ‘web server’, the web server start delivering ‘objects’ which are needed to be displaying a website on your computer? Now, each time the web browser “hits” the web server, it is recorded on the web server’s “log” as a “hit”. Technically speaking, each file sent to a browser by a web server is an individual hit. Now imagine if I have a website and, I have loaded its home page with 100 images. You have another website and there are 500 images on its home page. Let’s assume 10 people each will visit both the websites. How much “hits” I get, and how much “hits” will you get? Correct! 1000 hits for me and 5000 hits for you. So, if you receive two proposals from these two websites, is it correct to assume that the website with 5000 hits is better than the other one? No. Both websites attracted 10 visitors each. Having more objects on your home page, than other websites is your problem! After your browser collects all the “objects” from the web server (including the HTML file for the web page), the browser will display the full web page on your computer. Once the full page is displayed on your browser, then that will count as “1 pageview”. Remember, there can be hundreds of “hits” to the server, before it generates one pageview. A visit happens when someone or something pays a visit to your website. For example, if I load the website www.facebook.com on my browser, that will be counted as one visit to that website. A visitor can make multiple visits to a website during a given period, and have multiple pageviews in each of those visits. I told you, a person could make multiple visits to a website during a given period. No matter how many visits I make to the website during a day, I will remain a unique visitor to that page. How do we know if a visitor is unique or not? Most common method is to track by the user’s IP + Device ID combination, but if you have placed an analytics code such as Google Analytics on your website, you will be able to “cookie track” the uniqueness of the visitors. Well, that may sound a little bit too advanced for the time being, so... errrrr... forget the cookies! Apart from the words hits, visits, pageviews, and unique visits, there are two more words frequently being used in online advertising. Those words are “clicks” and “impressions”. What is a click? Use your mouse and click on this link and that is a click. (Got it?). Well, the word “click” always is used in reference to a “mouse click” on a web banner you place on a 3rd party website. For example, if you place an advertisement on this website and if someone “click” on that to reach your website, that is counted as a ”click” in your campaign reports (if your publisher is providing any). Then what is an impression? Simply take the literal meaning. An impression is, someone (potentially) seeing your advertisement. For example, if you place a banner ad on this web page, every time this page get loaded on some one's web browser, that is counted as an “impression” for your advertisement. Remember, you cannot expect a “click” without an “impression”. So, all the time the number of impressions you record for your campaign is higher than the number of clicks you receive. The clicks you received as a percentage of impressions, is known as the “Clickthrough Rate” (CTR). The beauty of online advertising is (compared to TV or Radio), you can know exactly how many people “reacted” to your campaign, by looking at your CTR. You can track exactly, how many times your advertisement was “delivered” to your target audience. So, as an advertiser, what are the matrices you should pay most attention? Ignore the “hits”. Online advertising professionals should never use this word! Hits, is a matrix which is important for webmasters, not for marketers. Webmasters need to monitor the ‘hit rate’ to manage the network resources and optimize the server response time. However, for online marketers, this is a meaningless number. Next time if someone try to market you some advertising space on a website, by highlighting the “hit rate” as a factor, never hesitate to ‘hit’ the guy in his face. (Disclaimer: I am not responsible for the consequences). As someone who is looking to place a banner advertisement on a website, the number you should pay close attention is “pageviews”. Page views give you an idea about, how many “ad impressions” the website could deliver for you. For example, if a website is having 1 million pageviews for their home page for a month, and if you place a banner ad on their home page, you will potentially get 1 million ad impressions. I hope this helped you to clear a lot of misconceptions, myths, and grey areas in online advertising jargon. Still having problems, understanding the concept? No worries! Simply get in touch with me through one of these methods. I may be able to help you further.